It's been on your bucket list for too many years. Now the opportunity to get face-to-face with them is staring you right in the face. Many cage dive trips are on the other side of the world, making them very expensive to get to. Most of these trips are just one day, and in waters with poor visibility. You're herded in and out, and the odds of seeing even one shark aren't great. This trip is very different. 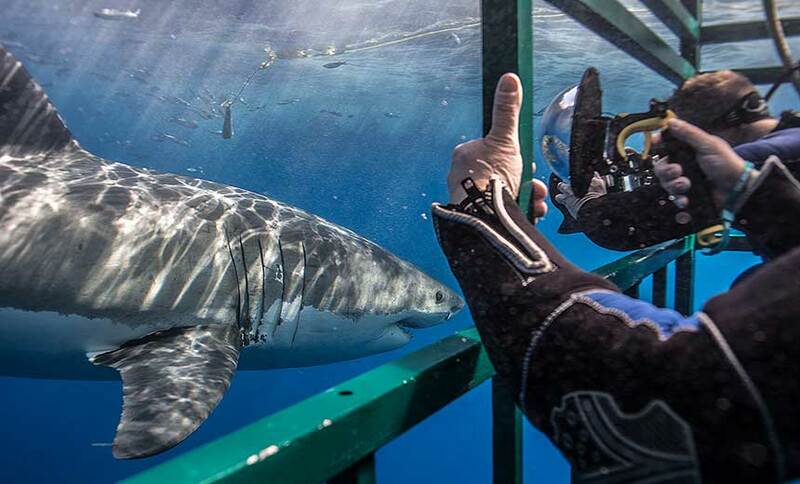 It originates in San Diego, and takes you to the world's best location for seeing great whites, Isla Guadalupe. Where the water is crystal-clear and the sharks are plentiful. What's more, you'll be cage diving for three full days with hosts who will do everything they can to ensure you get the best pictures! Your five days on board will feature fantastic food and great people. You'll walk away with new friends and the memories of a lifetime!